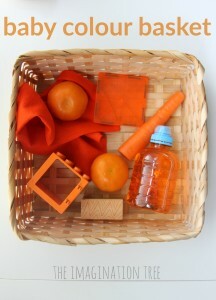 Create a baby treasure basket for exploratory play and learning for little hands and minds! If you’ve been reading here for a while you will remember the baby treasure baskets I have posted over the years, right back from when Pop was a baby (she’s nearly 3, waaaah!) 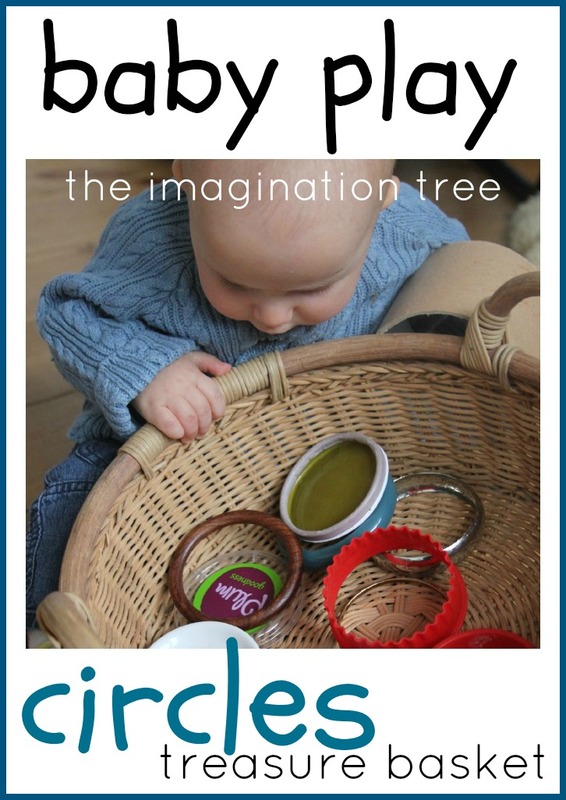 If you would like a good introduction to this type of play, read our original post all about the thinking behind baby treasure baskets and the benefits of heuristic play here. Sometimes it is good to freshen up the treasure basket by introducing a limited range or theme of items. 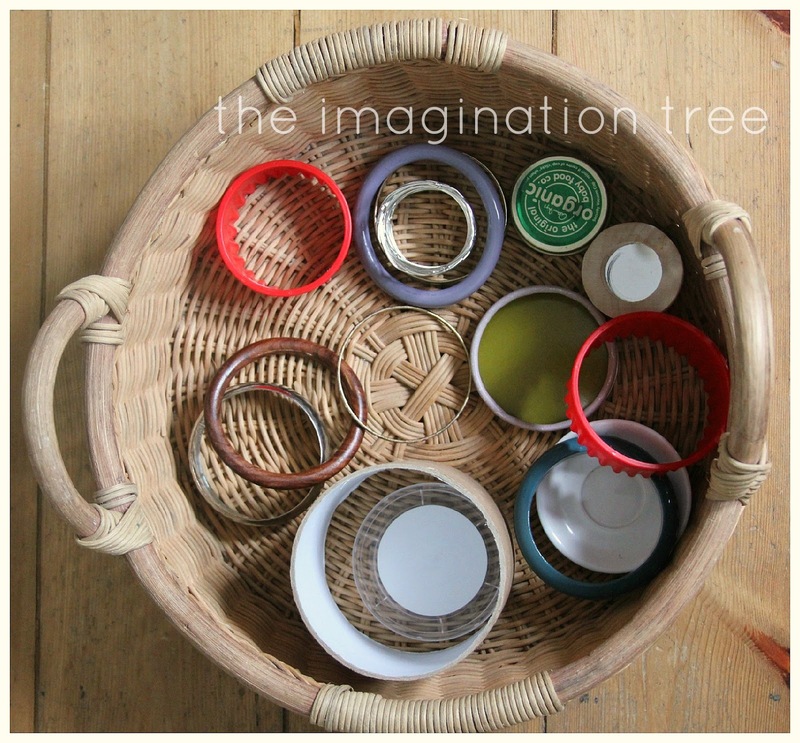 We recently put together a really quick and simple basket for baby Bean that consists entirely of circular objects in various different diameters, materials and textures. The older children were able to help with the selection of objects, talking about their shape and properties as they did so. This prompted good discussion around whether objects were flat circles or three dimensional cylinders, and if that mattered or not in our circular collection. They decided to combine them all together. 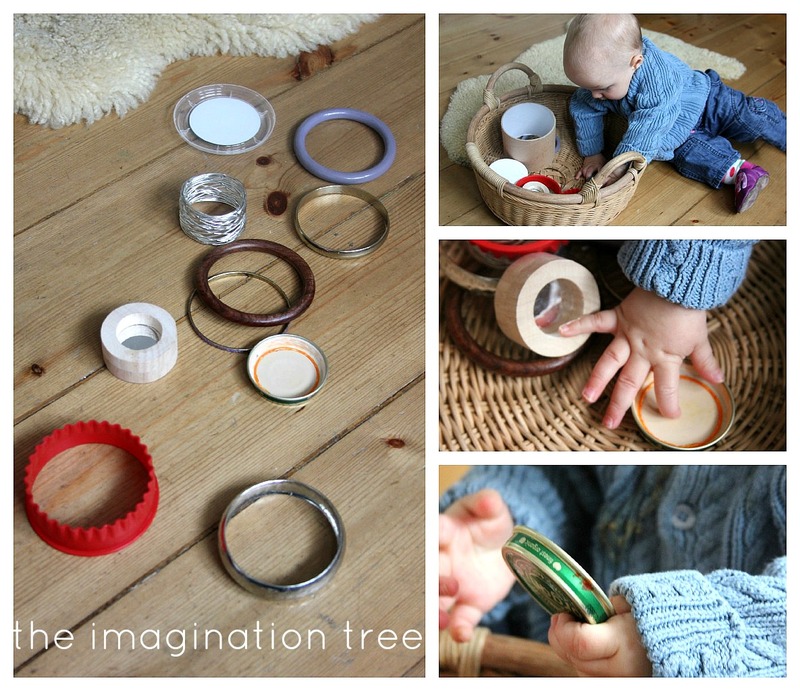 We used bracelets, bangles, metal and plastic food lids, cardboard tubes (not toilet rolls), round mirror blocks, pastry cutters and napkin rings. 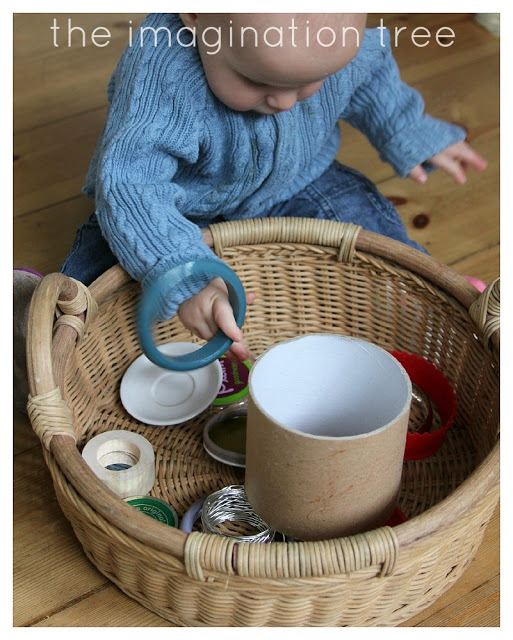 Because of the various sizes and materials Bean was able to place them inside each other, stack with them, roll them, overlap and bang them together. She explored them with her hands and mouth and by bashing them into all other objects she could find. We kept these materials for about a week before re-introducing some of these older objects. We are making more of these for weekly play changes and will post about them soon! 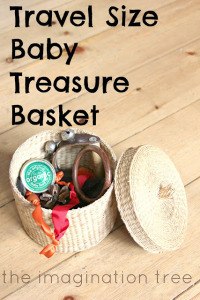 Here is a travel-size baby treasure basket you might like. Search ALL our Baby Play ideas here! « Addition and Counting Machine Maths Activity! we did this with our daughter, round things were the easy ones to find, other shapes needed a bit more thought! I love this idea. Sensory type bins like this are always a hit at my house! So sweet! Gosh, I can’t believe I did such poor sensory bins for my kids when they were little. I just dumped toys in a bin and that was that! I really like the circles one! Oh well. Live and learn. I’ll be better at this for my grandkids one day! I’m not sure where you are getting your info, but good topic. I needs to spend some time learning much more or understanding more. Thanks for fantastic information I was looking for this info for my mission. Hi, can I do this with my 4-month old please?